Metro-Goldwyn-Mayer's first foray into their own animation department was not quite in house. 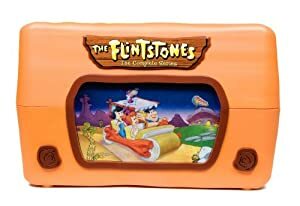 Rather than build an in house animation studio, MGM hired out the already existing Harman-Ising Productions to produce this series for them. 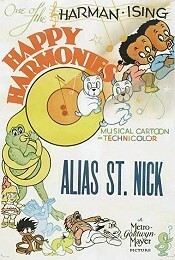 The series was planned as an answer to Disney's Silly Symphonies series, musical animated shorts with no real continuing characters shown before studio feature films. When they left Warner Bros. for MGM, Harman and Ising brought their popular Looney Tunes character Bosko with them. Redesigned to a more human character, Bosko proved to be the only recurring character from the series. 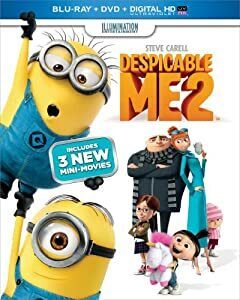 2.5/5 Stars from 7 users. Please give the Theatrical Series Happy Harmonies a vote between 1 and five stars, with five stars being the best, 1 being a show you absolutely hate, and a three for an average show. This Series has been viewed 7 times this month, and 47,795 times total. 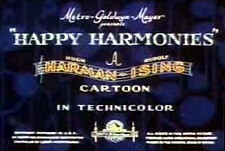 Happy Harmonies Theatrical Series -MGM @ BCDB by Big Cartoon DataBase is licensed under a Creative Commons Attribution-NonCommercial-ShareAlike 4.0 International License.